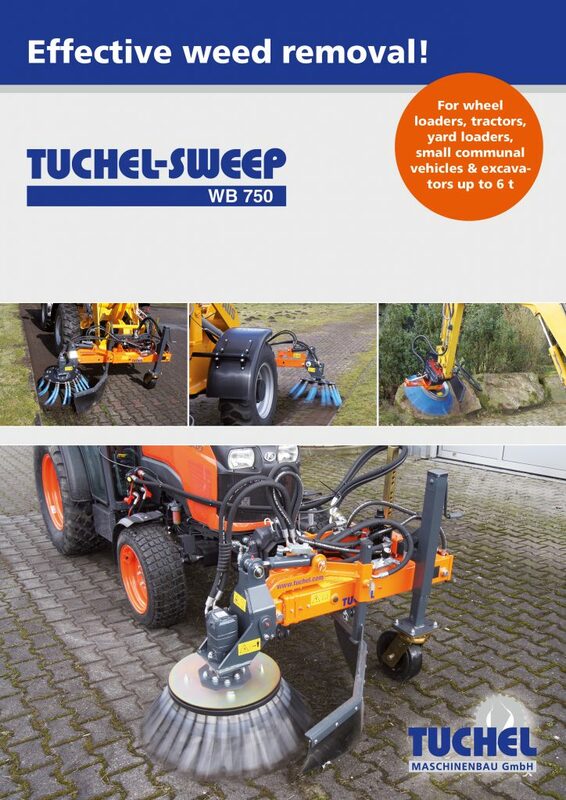 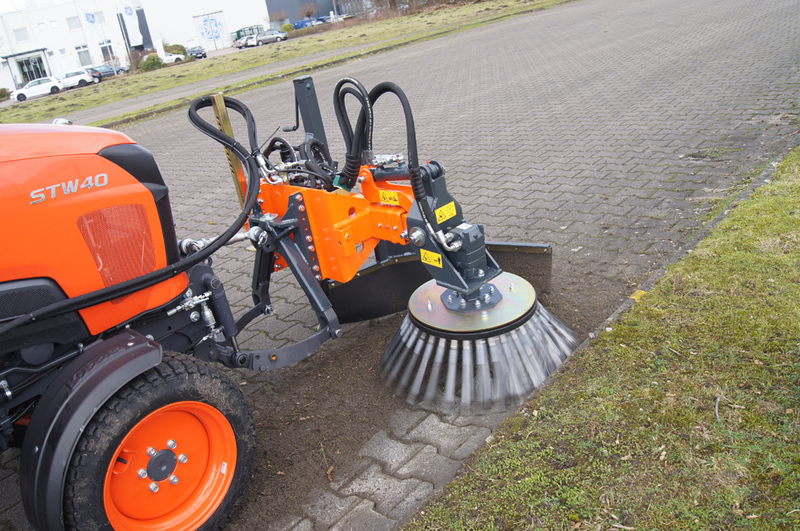 The new hydraulically driven weed brush for wheel loaders, tractors, small communal vehicles and excavators allows you to remove any kind of weed, very easy and effortless, and free of chemicals. 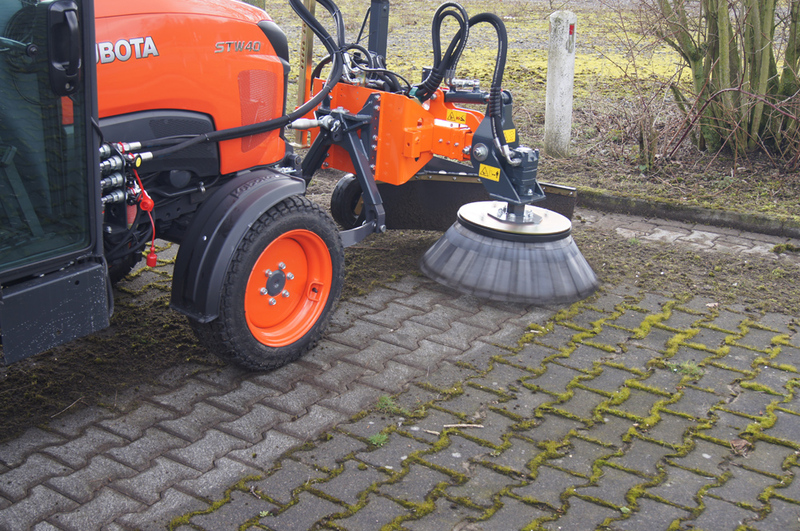 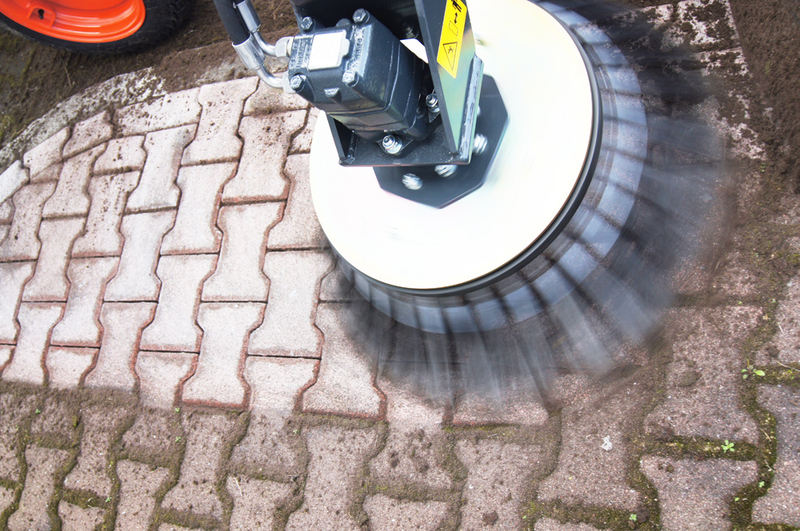 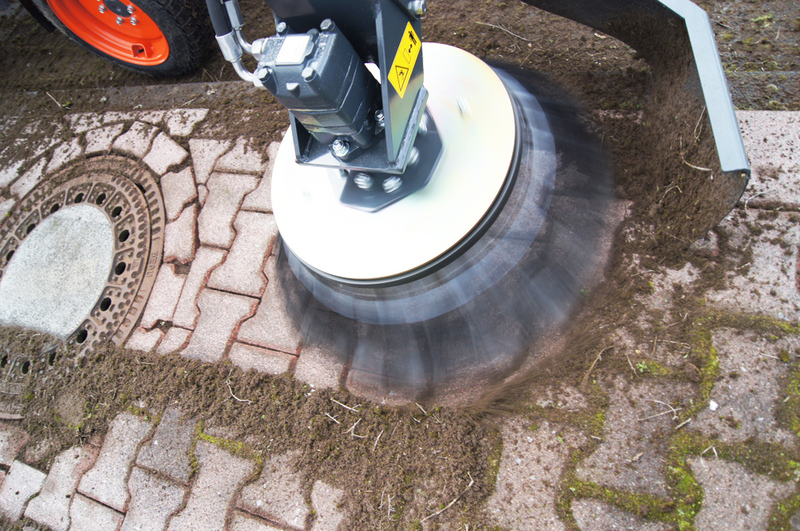 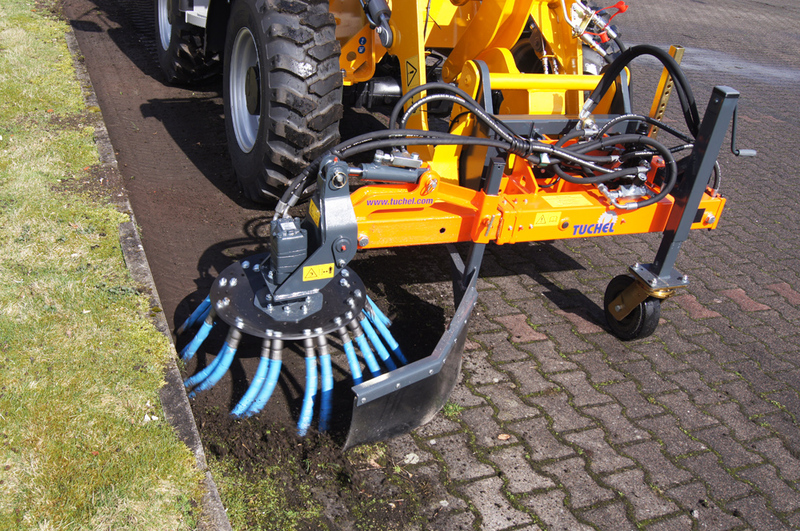 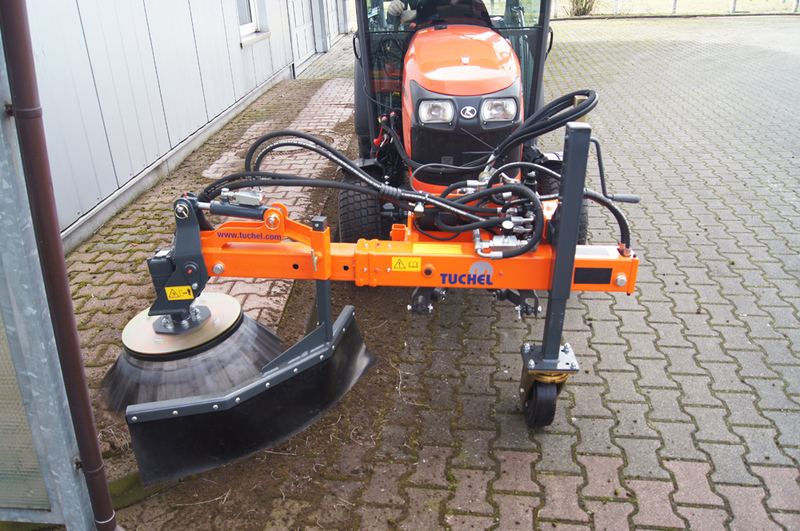 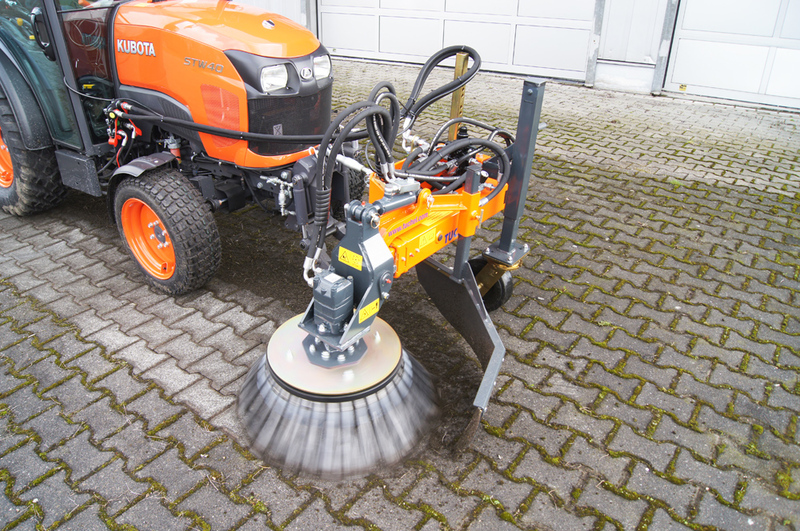 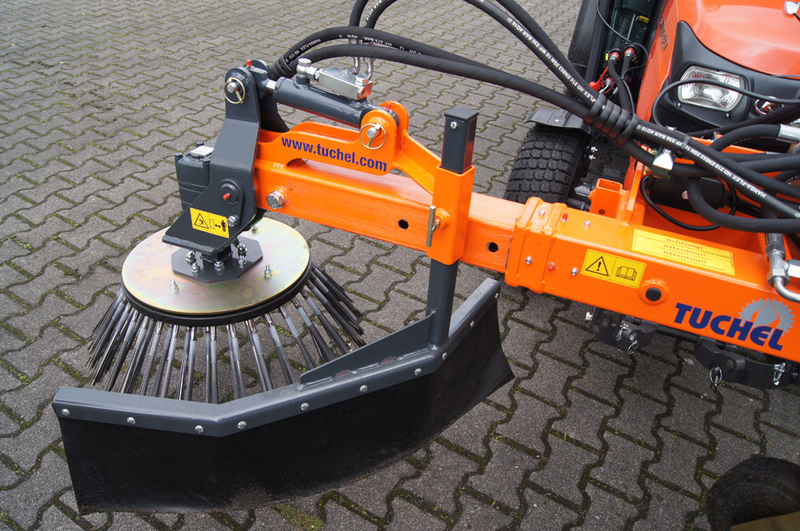 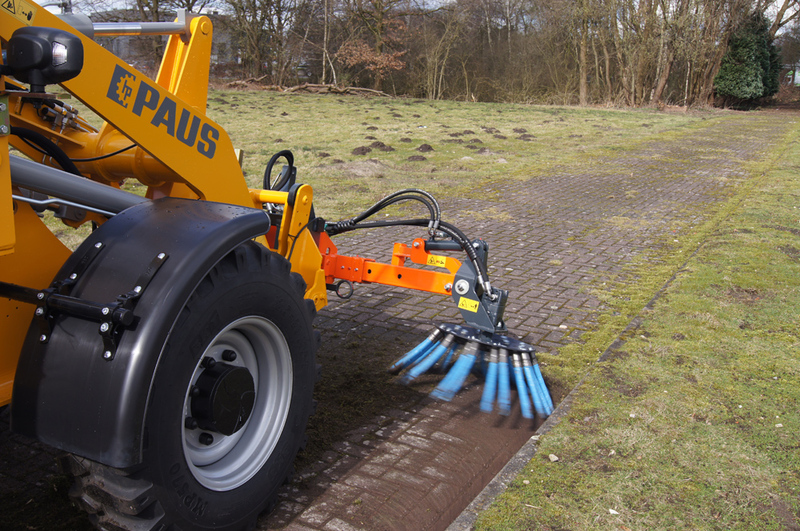 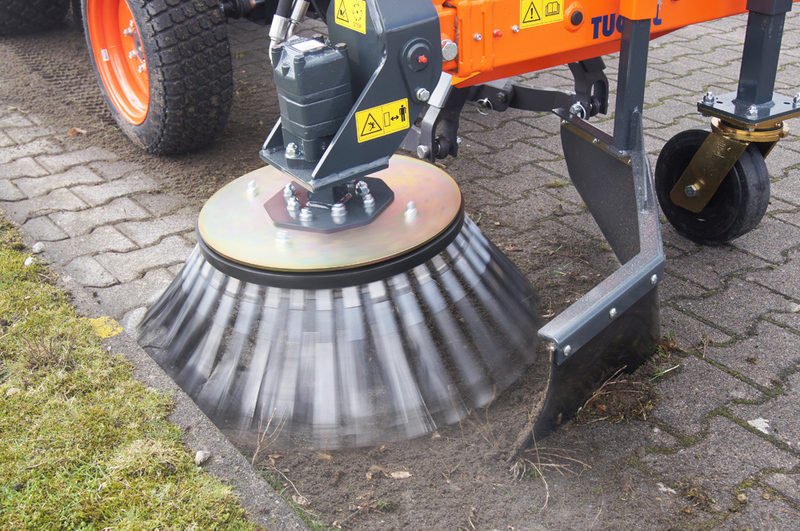 The disc brush has a diameter of 750 mm and is equipped with flat wire bunches, so that even stubborn dirt is no longer an obstacle. 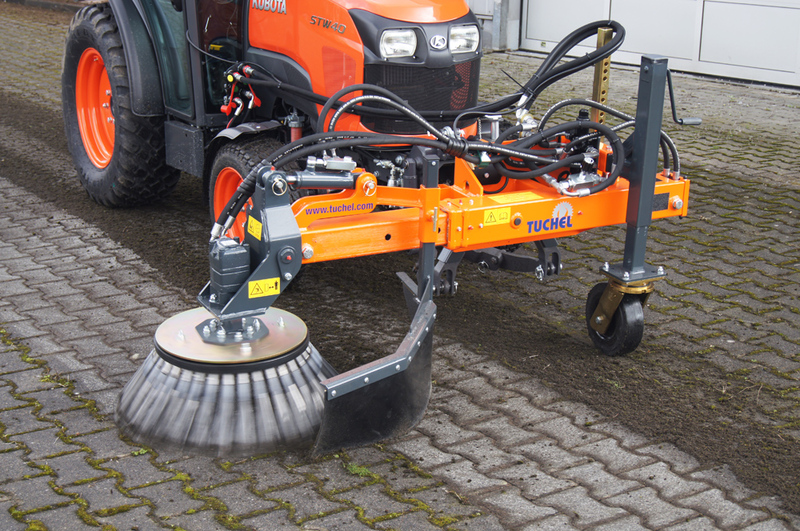 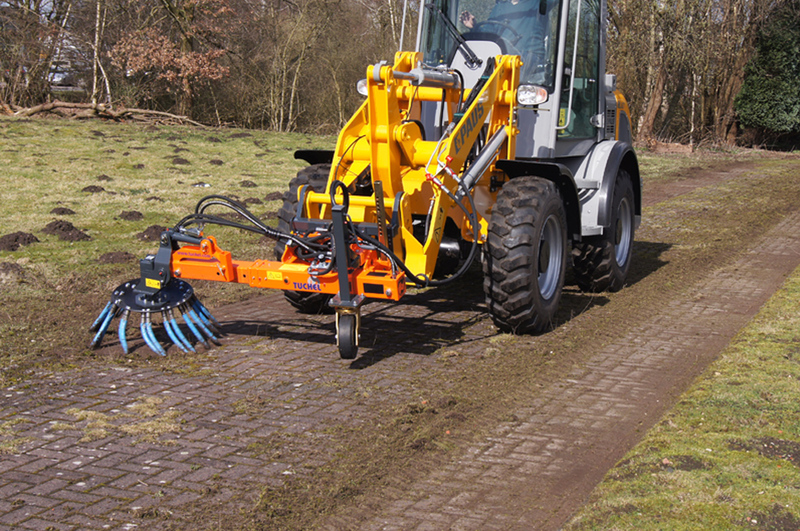 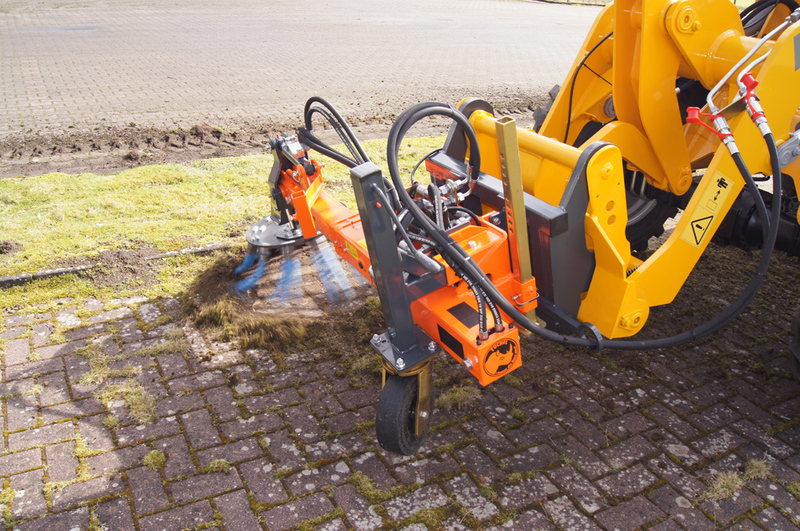 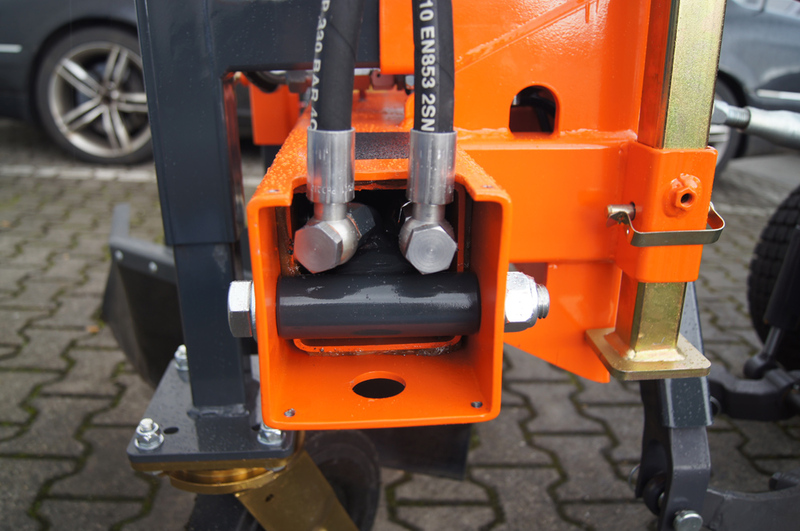 To ensure removal even in edge areas, the weed brush is equipped with a mechnical lateral displacement. 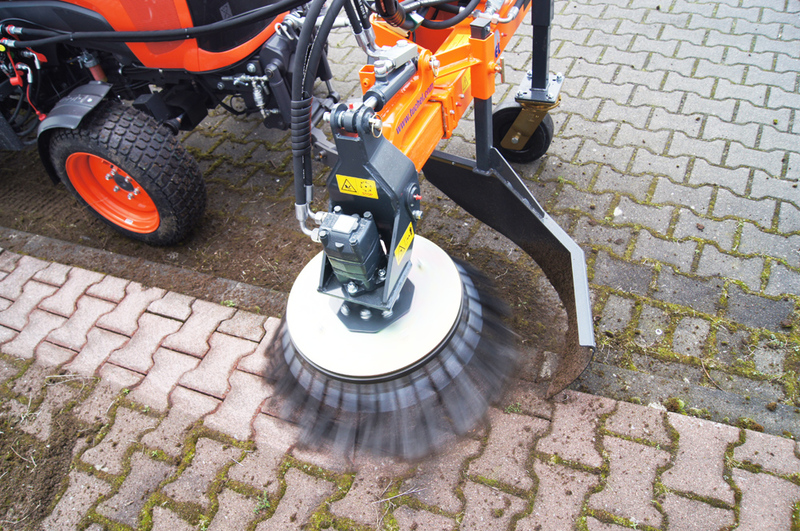 Through manually adjusting the tilt angle, you can achieve the highest possible scratch effect. 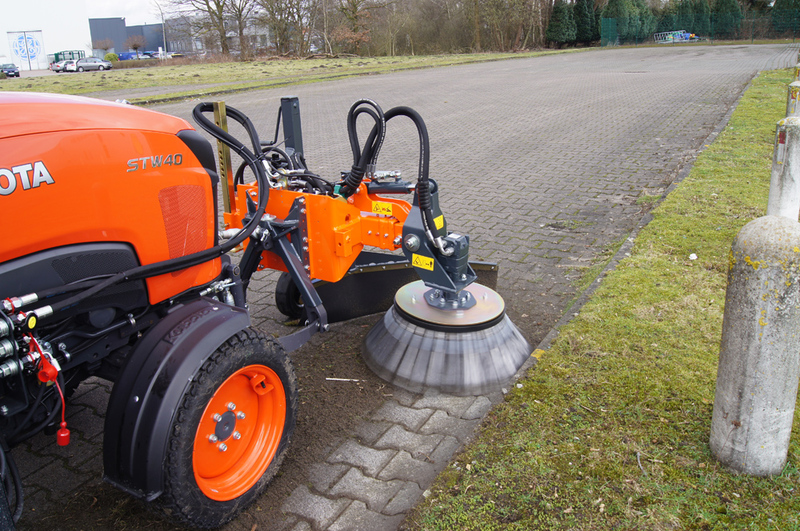 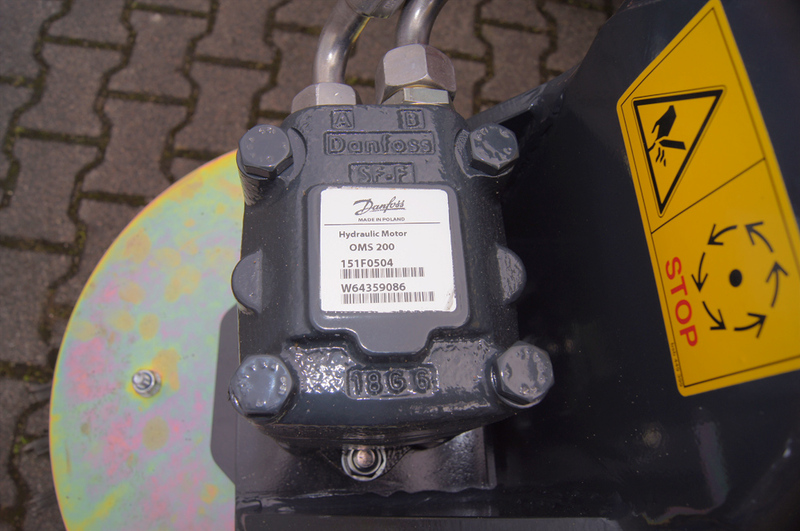 Part of the basic equipment is also an adjustable rubber protection cloth which prevents stones and debris flying around uncontrollably.